“I Am a Camera” could be an alternate title for Kristian Fraga’s “Severe Clear.” This documentary about one Marine’s experience in Iraq is opening for a one-week Oscar-qualifying run at New York’s IFC Center (it’s part of DocuWeeks 2009, a July 31-August 20 program that includes 18 nonfiction features and a program of shorts). Fraga is a friend and a sometime filmmaking collaborator, so I hesitated to include the movie in this column for obvious reasons; I’ve never before reviewed a feature by someone I consider a close friend. 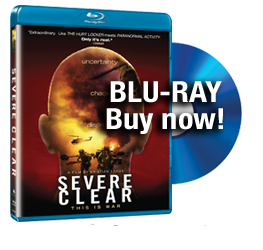 I’m making an exception in this case, because “Severe Clear” needs to be seen and appreciated; it’s a great movie as well as a deceptively complex work of popular art. Fraga’s goal is to create the motion picture equivalent of a first person, inherently unreliable memoir. What we’re seeing isn’t a dry representation of what happened, nor is it characterized as such. Events are compressed, heightened by sound effects and music, stylized through inventive transitions. 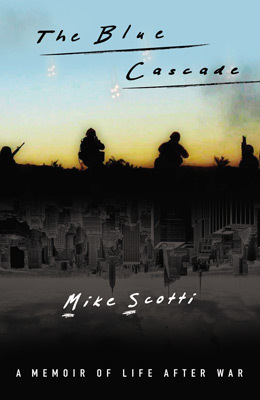 We’re seeing Scotti’s account of what happened — memories recollected in tranquility, colored by his thoughts and feelings. If Fraga’s tone weren’t so aw-shucks humble, the movie’s fluidity and virtuosity would be more apparent; but if it were more apparent, “Severe Clear” wouldn’t be half as impressive. The movie is art posing as journalism posing as entertainment, no small feat. Cliff Martinez’s dreamy score, Fraga’s sharp but largely invisible edits and Scotti’s straightforward prose combine to create an essential combat picture that would fit nicely on a double-bill with Kathryn Bigelow’s “The Hurt Locker” — not just for its non-ideological approach to a controversial war, but for its nonjudgmental depiction of a soldier’s life and mindset. It’s a must-see for anyone who’s interested in an honest look at war and its casualties, and essential viewing for anyone who has served in combat or knows someone that has.